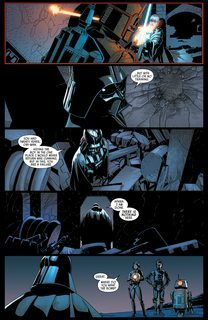 Star Wars – Darth Vader Vol. 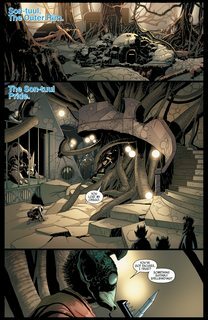 2 – Shadows and Secrets (TPB) (2016) : The tale of Darth Vader’s transformation continues! Bounty Hunters are on the attack, and Vader has been given a new mission for the Empire. Unfortunately, it’s completely at odds with his own personal mission. What’s a Dark Lord to do? Darth Vader and Aphra continue their alliance — but how long will it last? And who is Tagge’s mysterious new agent? 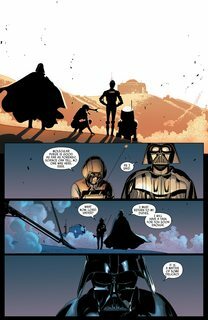 One fact is certain: When Aphra’s private investigation on behalf of Vader comes crashing headlong into Vader’s investigation on behalf of the Empire, the results will be deadly! Collecting DARTH VADER #7-12.